One of the attempted criticisms leveled against the hypothesis of financial terrorism has been that the markets were simply too large and too complex to be manipulated. In the 2009 report prepared for the Department of Defense, Economic Warfare: Risks and Responses, we laid out a clear three-phased financial terror attack. The first phase included oil price manipulation. The second phase was about “bear raids” against key financial services firms. Because these firms were “systemic” in nature, a successful attack, if sufficient in scope, would be believed capable of severely impacting the entire economy. The third phase was defined as an attack on our currency and sovereign debt. In response to the criticism, we have provided support for the hypothesis from a variety of perspectives. This includes testimony from market participants, data that demonstrates unusual activity, and direct statements of intention by potential perpetrators. Despite this, most of Wall Street has remained dismissive with little regard for the evidence assembled. As one example, I recently had a direct conversation with the manager of a well-known energy-based hedge fund. He basically said, “that’s simply not how markets work.” He was certain that it would be nearly impossible to manipulate energy markets and provided a theoretical basis for his belief. The problem is, however, that his theory required certain assumptions that simply don’t match reality. Just to be thorough, I engaged the Professor Emeritus for the Economics Department at one of America’s most prestigious research universities. After reviewing the discussion in detail, the Professor concluded that the hedge fund manager either didn’t understand how markets work or had a vested interest in ignoring the truth. I’ll publish some of that information in a future post. Basically, it will prove that Phase One really did happen. “We provide direct evidence of market manipulation at the beginning of the financial crisis in November 2007. The type of market manipulation, a “bear raid,” would have been prevented by a regulation that was repealed by the Securities and Exchange Commission in July 2007. The regulation, the uptick rule, was designed to prevent market manipulation and promote stability and was in force from 1938 as a key part of the government response to the 1928 market crash and its aftermath. On November 1, 2007, Citigroup experienced an unusual increase in trading volume and decrease in price. Our analysis of financial industry data shows that this decline coincided with an anomalous increase in borrowed shares, the selling of which would be a large fraction of the total trading volume. The selling of borrowed shares cannot be explained by news events as there is no corresponding increase in selling by share owners. A similar number of shares were returned on a single day six days later. The magnitude and coincidence of borrowing and returning of shares is evidence of a concerted effort to drive down Citigroup’s stock price and achieve a profit, i.e., a bear raid. Interpretations and analyses of financial markets should consider the possibility that the intentional actions of individual actors or coordinated groups can impact market behavior. Markets are not sufficiently transparent to reveal or prevent even major market manipulation events. The conclusion is fairly dramatic and well worth reviewing. By documenting the publicly available trading activity on November 1 and November 7, 2007, the study indicated that the probability of that specific trading pattern on its own (absent a bear raid) was limited. Specifically, the activity of November 1 would require 200 years of normal trading to occur. The probability for November 7 would require 500,000 years of trading to naturally happen. The probability of both happening in random would require about 4 billion years of trading. In short, the authors state with confidence that a bear raid had taken place. They even go on to dismiss the common Wall Street theories offered to reject the notion of bear raids. This is not the first study to document bear raids. Another was conducted at Wharton titled “Bear Raid Stock Manipulation, How it Works and Who Benefits.” In addition, none other than George Soros himself declared that the 2008 collapse was triggered by a bear raid in a 2009 Op-Ed for The Wall Street Journal. It should be noted that the New England Complex Systems Institute study is based on publicly released data of traditional short selling (where shares were borrowed). It does not include trading in dark markets or off-exchange or naked short selling. Even still, the Institute study found clear and compelling evidence of market manipulation. We believe that they barely scratched the surface of what really happened. Yet, Wall Street and policymakers have yet to properly address the risk. We have long demonstrated the role of market manipulation in the 2008 collapse and are pleased to have additional statistical support. It is essential to understand, however, that this is not a simple matter of analyzing what happened. 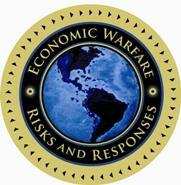 Our research has firmly demonstrated that this economic vulnerability is a matter of national security.